Sunday Jan 13th was a damp and windy morning as 12 riders signed on at Wheelworx car park for the 1st round of the 2019 leisure league. The only benefit weather-wise was the mild temperatures of about 9/10 degrees. Following all the friendly greetings and “Happy New Years”, a short briefing was held to outline the route, reminder of safety rules, warning about roadworks, etc. It was also noted that I first met a lot of the people in this group exactly 10 years ago, as my first spin with the IVCA was the Jan Tour 2009. It was also my first meeting with the late Gay Farnan RIP of whom we all have fond memories. We headed out into a stiff westerly wind and soon got a nice steady pace going which everyone was comfortable with. 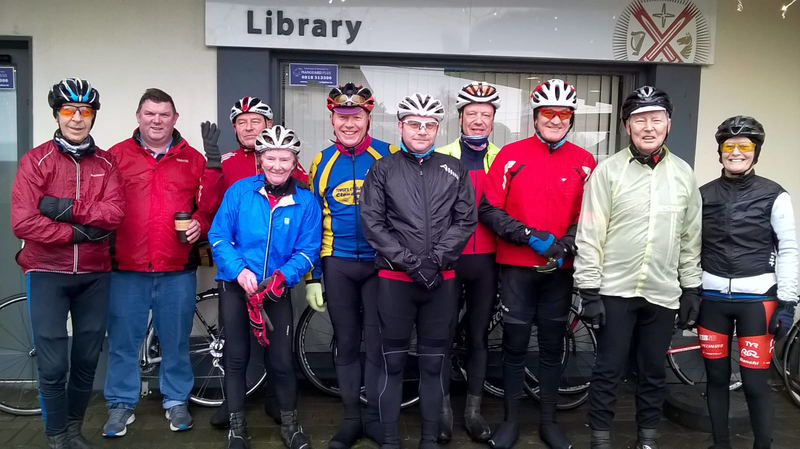 A few rotations took place within the group to allow much needed shelter from the wind, as we made our way through Newcastle, Lyons Estate, Ardclough and Straffan. 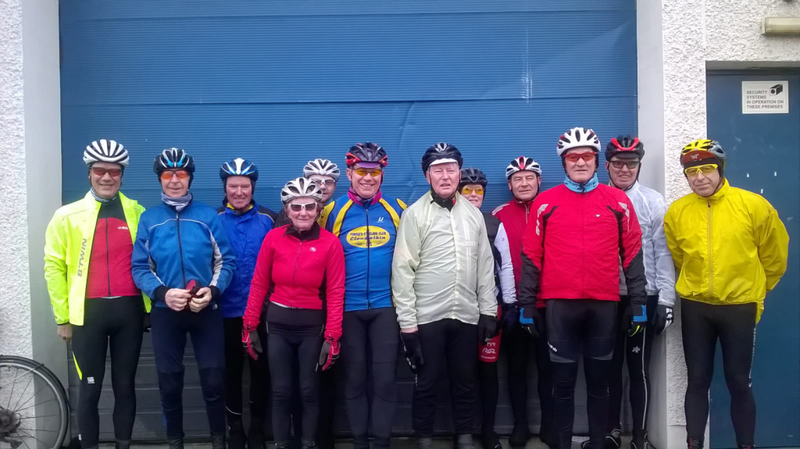 Following Bodenstown Cross Roads, the group made steady progress up and over the short climb before descending into Sallins. A very short section on the main road was followed by a left turn onto the much quieter Millicent Road and up to the turn for Clane, where a much welcomed refreshment stop was enjoyed by all. Following the break, we headed up the main road towards Kilcock, past Clongowes Wood College before turning onto the minor road and through Rathcoffey. From there we made our way through Maynooth, Celbridge, Hazelhatch and past Peamount Hospital. To avoid roadworks on Nangor Rd, a slight change of direction was made to the normal route, bringing us through Adamstown. A short section of 2-3km of Bus Lane brought us all back to Wheelworx safe and sound. Thankfully no punctures or mechanicals were had. The total distance was 73km. Many thanks to Philip Brogan who was feeling unwell, but kindly drove behind the group as backup. Thanks also to Tony Pearson for the photos. Hopefully everyone enjoyed the first tour of the year, and are looking forward to the Feb tour which takes place on 10th Feb at 10.00am departing from Airside Retail Park, Swords (further details to follow).